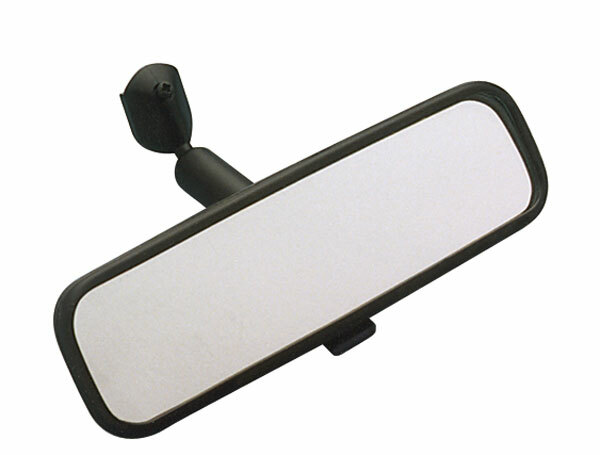 Replaces existing original equipment windshield-mount mirror. Approximately 2″H x 10″W – black plastic housing with distortion-free glass and adjustable ball-joint stem. Flip a lever to change from normal day time viewing to reduced-glare night time viewing. Includes Fast Drying Epoxy.